Are there any interesting directing techniques you like to introduce when rehearsing? It depends on the play, for this show we have been really inspired by non-traditional approaches to text, particularly in regards to movement. 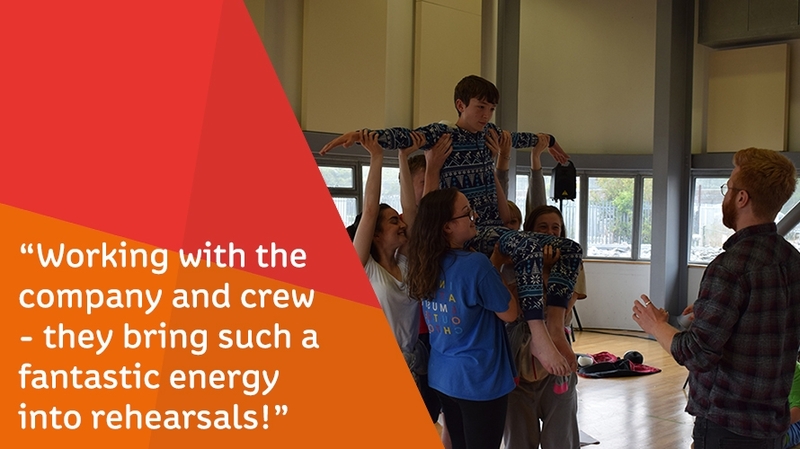 We’ve also spent a lot of time bonding as an ensemble and learning to work together as a team. As this piece is heavily reliant on the ensemble for its storytelling, that has been a key focus for us. How have you approached the text and what do you think the audience will get from it? The text explores the effects of trauma on a group of young people and the disorientation that ensues from that. That disorientation is a key theme of the play and has formed an integral part of our concept for it. This has led us to exploring non-linear approaches to telling the story and allowed us to be really playful with how we approach it. Our hope is that this puts the audience within the minds of the young people and allows it to experience the events as they do. What do you think has been the most challenging aspect of directing this play? I have never worked with so much movement in a piece before, so developing our language for that has been a real challenge for me (but great fun!). Working with the company and crew- they bring such a fantastic energy into rehearsals! Are there any other productions, directors, playwrights that have inspired you during the process? We have been really inspired by the work of companies and choreographers like Hofesh Shechter and Crystal Pite and listening to a lot of electronic music, artists like Four Tet, Aphex Twin and Son Lux. 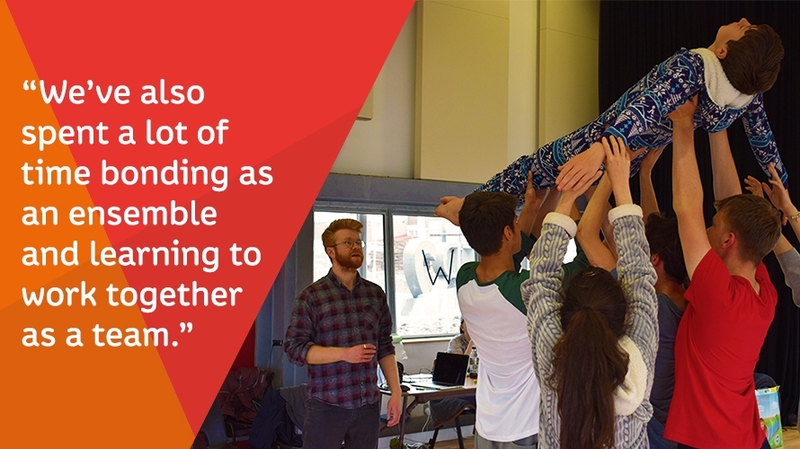 We’ve also tried to take inspiration from the real life events that have informed the play, watching videos and news reports to try to create a performance language that feels truthful in reflecting those experiences. How did you approach this new play and what conversations with Laura Lomas (Writer) took place when developing the piece? The show is a co-commission between 4 theatres: Theatre Royal Plymouth, Derby, Dundee Rep and Northampton & Derngate. 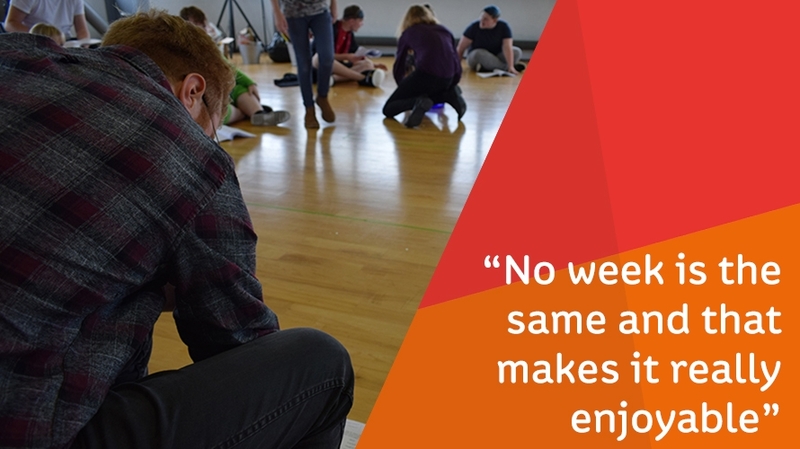 Initially the 4 theatres took part in a residency, where we all took a group of our young people away for a weekend to work on and develop ideas for the play with Laura. This was a really key part of the process as it gave us all a chance to contribute to and be playful with the ideas that Laura was suggesting and for her to get to know all of us and ask questions. Do you have a clear idea of the production in its entirety from the beginning or do ideas form during the rehearsal period? Again it depends on the show. With this piece, as we are quite limited for time in rehearsal, we had to have quite a clear idea about concept and structure moving in to the process. However, we have been able to play and create within that process which has been really beneficial and a lot of ideas have come through that. How did you get involved in Directing? I initially started directing whilst I was at college and really enjoyed it. Then, I went to university and I continued directing with the theatre society there, which took up nearly all of my time. That really cemented for me that directing was something I wanted to pursue professionally. How have you found being TRP Staff Director? It’s been fantastic. What I think is so exciting about the role is the myriad of projects and different people I get to work with. No week is the same and that makes it really enjoyable. Are there moments of Directing you difficult? Not really. I think directors are in a privileged position in that you’re working with a lot of people who are bringing an abundance of ideas and creativity to the project that you’re all working on and you are helping to shape that. That is really special and I feel very fortunate to do the job I do. It is, however, always difficult saying goodbye to those people at the end of each show. We’ve already started work on the People’s Company and Young Company show for next year. I’m also remounting the Christmas show I directed last year, Snow Mouse, which is doing a national tour and developing a new show about the Black Death! 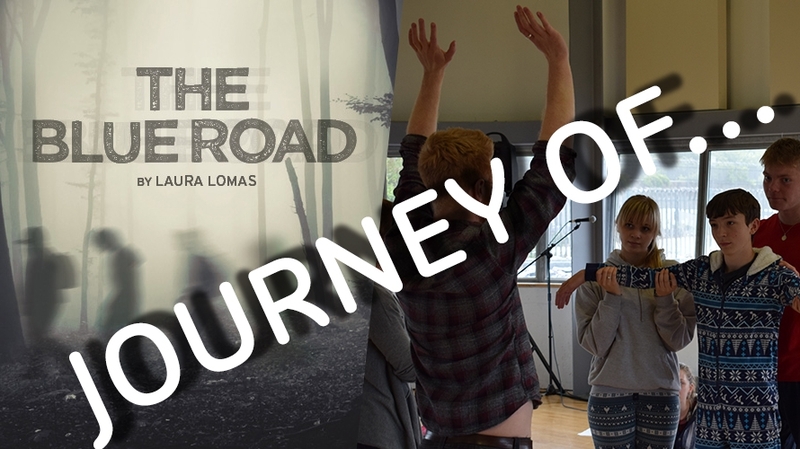 Experience the Young Company’s production of The Blue Road next Wednesday 23rd until Saturday 26th August.